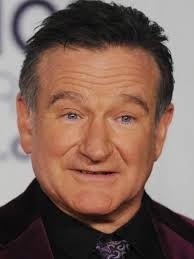 Out of all people in the world, it had to be Robin Williams a comedian. Lot has been already written about depression being the silent killer. Lot of analysis has also been made as to how comedians are most susceptible to depression. Correctly appearances can be deceptive. People have one face for the physical world; one for virtual and third is the real one. Nowadays its very important to have balance of mind to deal the situations in life. Modern life with its complicated ways is at its best to as questions each and every minute. So just as we spend time to maintain body, its very imperative to keep mind trained to adapt to various situations of life. Its easy said than done. 1. Define your horizon: List down top 10 ten things you want in next 12 months. You will find that the list will have at least 4-5 things which you may like to edit and delete. Assess the list in at least 3 different times and mood. Say when you are partying hard, when something happens which you don’t like and most importantly say between 4 to 6 am in the morning fresh after decent rest at some scenic location. The common points in the list will be final. Now don’t worry about moving targets. That’s very important. Else there won’t be contentment. Eg last week I was at Panchgani, at a friend’s house. There i had a temptation to add an item of owning similar place. So let this list be tight no additions or deletions once you lock it.